Going Vegan for Eczema Relief: Should You Make the Switch? Although we often discuss several tips and resources for healing eczema, one of the most important things we touch on again and again is that inflammation usually cannot be 100% cured until we heal from the inside out. Sometimes this means conducting an elimination diet, and other times it’s about changing your entire diet. 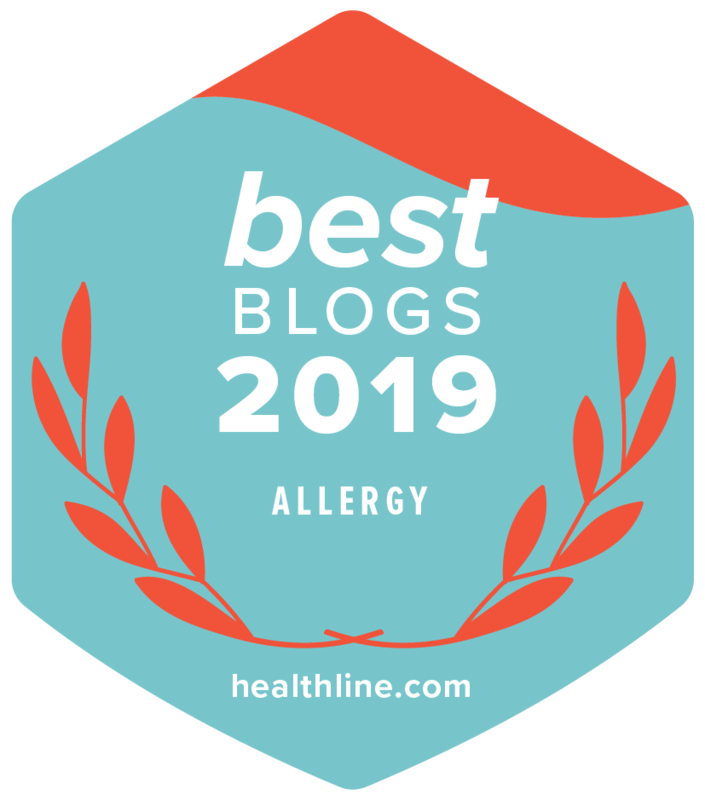 We’ve discussed many different diets on this blog: Auto Immune Paleo, GAPS, Salicylate Free, and so much more for helping heal eczema. However, this week we’re taking a look at going vegan for eczema relief. If you’re looking for a new healthy diet for your little one or for yourself, keep reading to find out how veganism can be the right approach. Plus, make sure to check out some of our favorite natural vegan eczema treatments! Before discussing going vegan for eczema relief, it’s important to discuss what is veganism. Essentially vegans are individuals who remove all animal-based products such as meat, fish and eggs from their diet, as well as animal produced products like dairy and honey. With a vegan diet you are able to enjoy fruits and vegetables, soy based products like tofu, potatoes, grains or other starchy foods, nuts, and seed. Because veganism is so widespread these days, it’s actually very easy finding vegan options as well as animal by-product substitutes or alternatives. Veganism is usually seen as a complete lifestyle change and they not only do vegans abstain from eating animal based/produced products, but they eliminate any product derived from animals all together and don’t wear leather and wool for example. Many people adopt a vegan diet either for health reasons (such as eczema or high cholesterol), but mostly they adopt the diet due to more philosophical choices such as protesting against animal abuse, industrial farming or environment issues. How Can Veganism Help Eczema? In How Eating A Plant Based Diet For Eczema Encourages Healing, blogger Debbie Adler mentions that switching to a plant-based diet radically improved both her and her son’s lives including helping their eczema and so much more. One reason Veganism tends to work well with eczema is that it eliminates dairy and eggs, which tend to wreak havoc on the immune system and happen to be some of the most common foods that trigger eczema. Not to mention that because many fruits and vegetables have anti-inflammatory properties, this type of diet can actually decrease inflammation. Many people have found success with a vegan diet. At the end of the day, it depends on what’s realistic for you and your family. If you decided to try a vegan diet, please speak with your physician or nutritionist to make sure you’re getting adequate protein and other nutrients. Looking for another source about whether veganism/plant-based diets work for eczema and other health concerns? Check out this guest post: Mother’s Intuition Saves her Son from Surgery. But How About Vegan Eczema Treatments? If you’re looking to adopt a vegan diet, but have no clue where to start in terms of finding vegan eczema cream and other treatments, know that it’s not impossible! Many companies have adjusted their ingredients to cater to the vegan community and there are several vegan eczema treatments that work wonders. To really heal eczema without animal by-products, you’ll want to use products containing natural herbs or plants such as aloe, shea butter, olive oil, coconut oil and avoid any animal rendered tallow or lard or bee derived ingredients like honey, propolis, royal jelly and beeswax, which are hugely common in natural products. Check out a few of our favorite vegan eczema creams and balms we stand by below! If you or your little one are experiencing facial eczema, but you’re not keen on using any treatment that uses beeswax or honey, this Calendula Face Eczema Cream is a perfect substitute. Not only is it gentle on eyelids, but it contains organic coconut oil, organic calendula, organic aloe juice and so much more. If you’re looking for a body wash that is both gentle and soothing, you’ll want to check out Emily Skin Soothers Soap for Eczema with Chinese Herbs. This soap contains natural Chinese herbs as well as coconut, avocado and olive oil. It’s very gentle and works great as a body soap or as a shampoo bar for shorter hair. If your skin is constantly itchy and you can’t find relief, this EczeHerbal Little Itchy Red Rash Treatment will be your lifesaver! Made with the most natural Chinese herbs, as well as organic extra virgin olive oil and candililla wax instead of beeswax, this ointment is excellent for soothing any red rash with minor inflammation from eczema. Not to mention that it’s an excellent substitute for bug bites and poison ivy treatments too! Lastly, if you’re looking for an on-the-go treatment that can be used on both the face and body, check out this Aloe Vera Soothing Spray for Eczema. Not only does it contain the cooling ingredient aloe, but it also contains calendula, which can help dramatically with itchy eczema skin. Although veganism is shown to be relatively healthy and there are many nutrients found in plants, there are other certain vitamins and minerals that are lacking in a plant based diet. If you’re deciding to switch to an all plant-based diet, we recommend meeting with your physician or nutritionist to make sure you’re getting the proper nutrients as you make the change – and this is especially important if your child goes vegan. Are you thinking of adopting a vegan diet for yours or your little one’s eczema? Are there any vegan eczema creams or treatments you love? Let us know and leave a comment below!